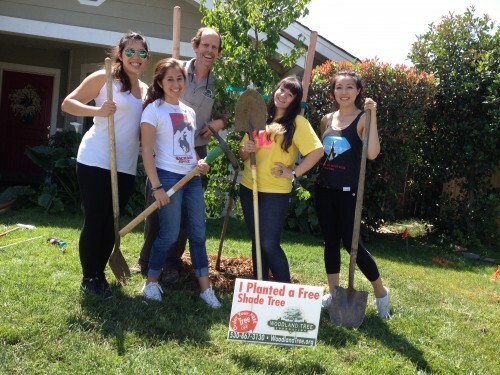 Volunteers make the Woodland Tree Foundation’s work possible. 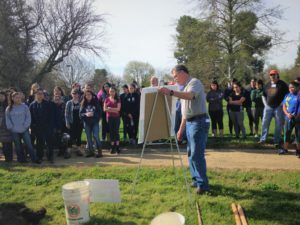 With the help of hundreds of dedicated and hard working volunteers, the Woodland Tree Foundation has been planting trees in Woodland and the surrounding area since June 2000. And we have many other projects in the works. We are always planting at schools, in neighborhoods and along Highway 113. Join us this year as we plant even more trees in and around Woodland. You can also help us raise money to support tree planting and tree care in Woodland at by joining us at our annual Tunes for Trees event (info coming soon). View volunteer opportunities below and fill out the form at the bottom of this page if you would like to join us! Next tree planting event is May 4 beginning at 8:30 AM at Campbell Park, Woodland. Volunteers are needed to plant 50 trees around the city for the final spring planting of the season. Sign up for our newsletter on the homepage to receive notifications and announcement of upcoming events. Fill out your information and we'll let you know about upcoming events which you can help out with. If you are registering for a specific event, enter the event name here.